While walking down the streets of Matunga after a hearty lunch, we came across a store that got us begging to enter it. 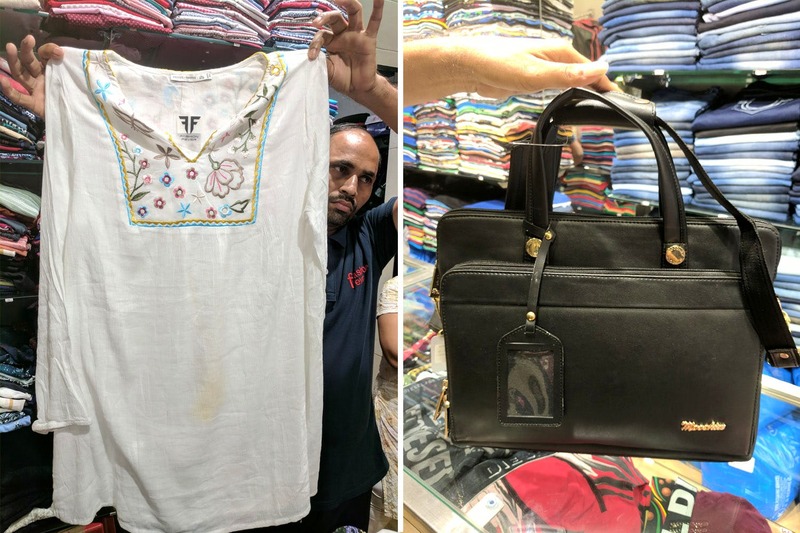 Fashion Fever, an export surplus garment store in Matunga is all about the latest trends when it comes to shopping for men, women and children. And boy, it didn’t disappoint. As soon as you enter the store, you see a riot of colours that pop right at you. Perfect to beat this gloomy weather, we came across tops, tee-shirts, kurtis, jeans in every shape, size and colour, and even accessories for the working population. While we ended up splurging on things we didn’t need but loved, we also picked up some cool accessories. For men, you can choose from a variety of clothing options like jeans, trousers, shirts, tee-shirts and much more. They believe in keeping only the latest trends in their store, so we did find some cool cuts and a lot of off-shoulder blouses. Apart from that, they also keep footwear, which is a blessing, because you have the option to mix and match and create your entire wardrobe in just one place. The prices range from INR 200 to INR 3,000, depending on what you pick. We spent INR 900 for 3 tops and a belt. While heading out, we spotted some laptop bags for the working woman and fell in love on the spot. For INR 1,200, you can get yourself a spanking new bag to show off at work (cheaper than most stores). The staff is extremely helpful and will go out of their way to lend you a helping hand. If you’re in that area and have some time to spare, and most importantly, need a new wardrobe, head out here and get that smile back on your face. We probably spent an hour in the shop, sifting through treasure after treasure. They also have a dressing room, in case you’re wondering, so getting your fit is never a problem.